Every now and then we come across internally lit decor that we find inspiring. 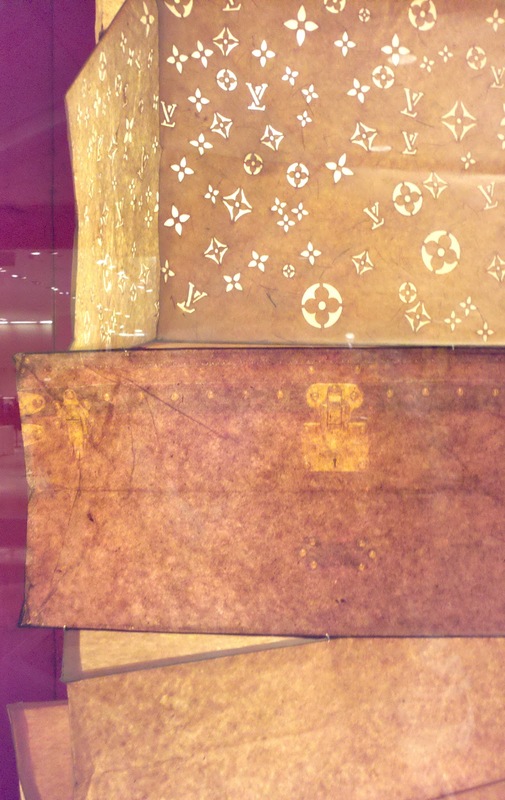 These paper shades were seen in the Louis Vuitton store window in Copley Square, Boston. 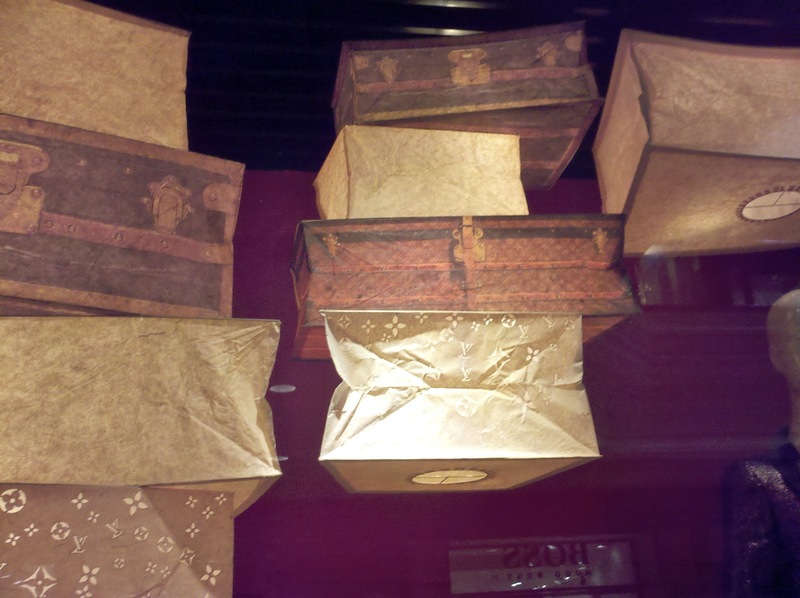 Made from delicate sepia colored and printed paper stock, the hanging "luggage" lit up beautifully for a subtle but original display. 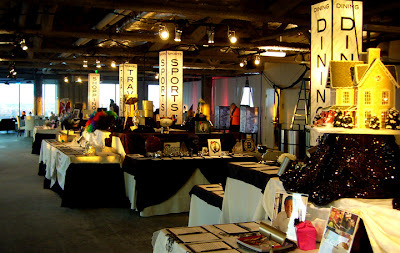 Inspiration for our next event! 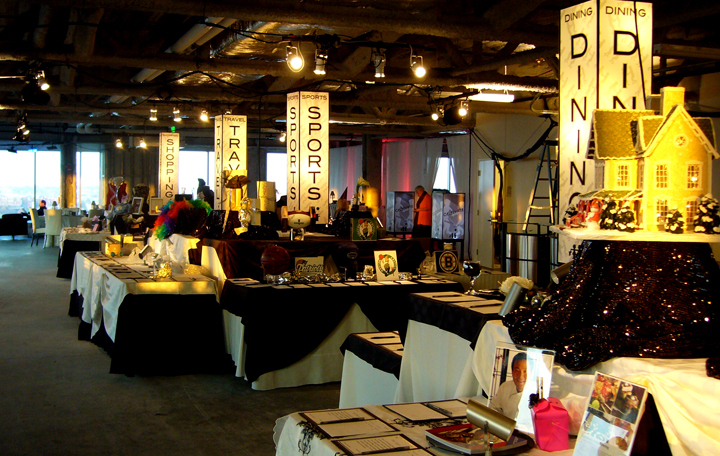 Clearly defining auction categories at large fundraising events can be a challenge. Our custom printed lit shades placed on auction tables make navigating to places of interest easy for your guests. 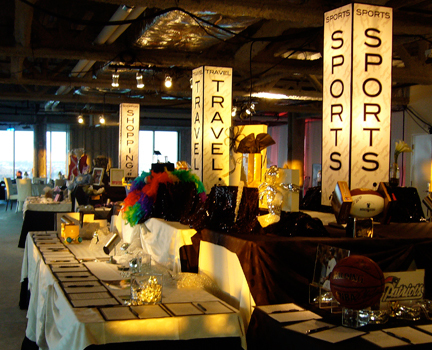 These were created for the Children's Hospital League fundraiser in Boston, and were branded with their event graphics and logo.